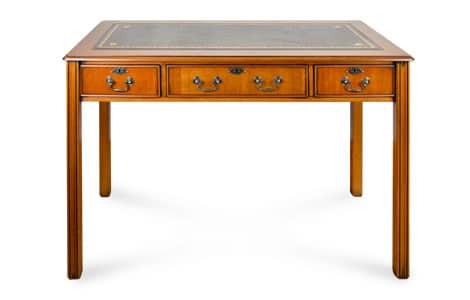 All our reproduction regency pedestal desks are finished to a very high standard with a gold leaf embossed leather insert to the top. 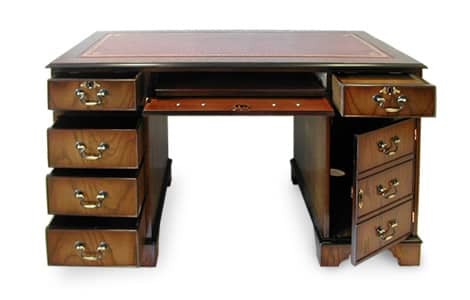 Fine tune your desk with our selection of 5 wood finishes and 5 leather desktop colour options. They can all be free standing in the room as the backs are fully polished to the same high standard as the rest of the desk. 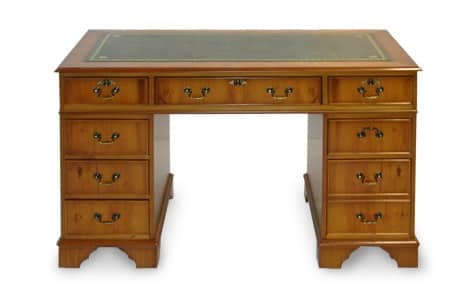 On standard pedestal desks the bottom two right hand drawers are actually one double depth file drawer. 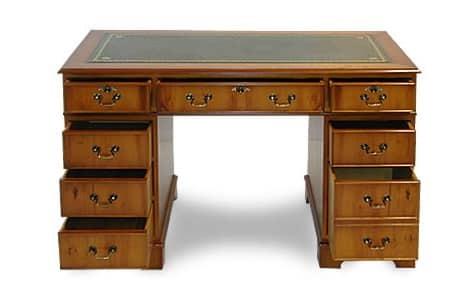 Computer desks have false drawer fronts on the right with a cupboard door to house a computer tower and the centre drawer lowers to release a keyboard shelf. 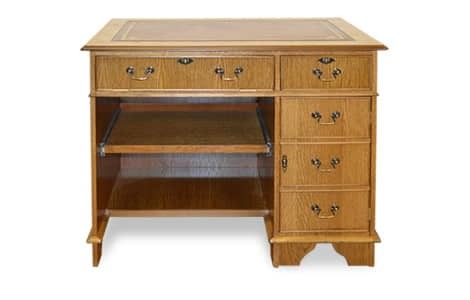 The single pedestal desk is ideal for the home environment when space is limited. Illustrated here in Medium Oak with Oxblood leather top. It comes with a pedestal cupboard with cable management system to house your computer tower with drawer above, sliding keyboard shelf and lower sliding printer shelf. All the prices below are for Mahogany. There is a small surcharge for the other wood finishes. All desks are 762mm (30") high.